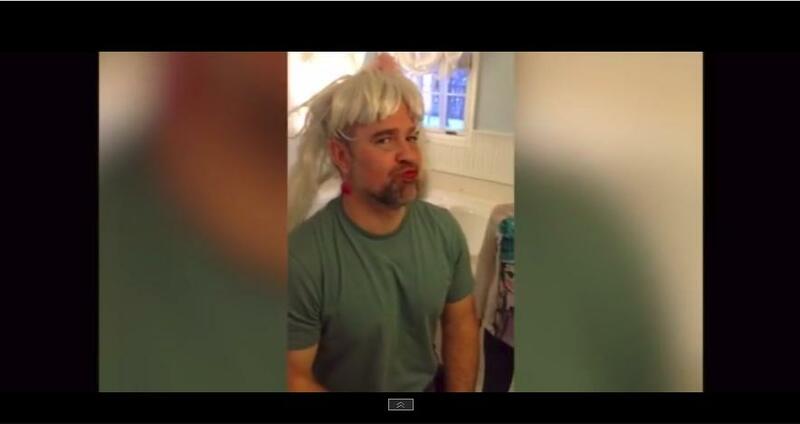 Uh-oh, this dad of three girls has fallen into some make-over mayhem! Mom films while the girls explain what they did, and needless to say, mom starts laughing at her now-fabulous husband! Luckily, he’s a good sport about all of it – in fact, he’s working his new look! LOL!